Vinnie Sciukas wrote an article about how IT professionals can avoid making mistakes on their resumes. Not only was her article well-written, but it contained information that can be applied to people seeking employment in many different job areas. In this article, her five main points will be expanded, giving advice on how to perfect your resume and land an interview – or your dream job. Her first point for resumes is one that has been listed by countless other people giving job advice. And it is listed by some many people because it is important. Here it is: spelling counts! No employer will look twice at a resume that has spelling or other grammatical errors. If a person can not put good effort into creating a document to help them get a job, then this says that they will not put effort into other work either. It shows that a person doesn’t pay attention to small details or doesn’t take the time to check things over. Another piece of advice for resumes is to list accomplishments. This is different, however, from listing job responsibilities. Employers want to know specific goals that you achieved and how you positively impacted the companies you worked for. Perhaps you took extra courses or earned special credits. List these and explained their benefits. Vinnie Sciukas explains that IT professionals should only include technologies that they have personally used, not just ones they are familiar with. Since technology is becoming more present in all jobs, not just IT careers, it is a relevant piece of advice. And job seekers should not claim knowledge they do not have. If you don’t know how a JAVA program works, then don’t pretend you do. Outright lying or ‘bending the truth’ on a resume may seem like an advantage in the short term, but will end badly in the long term. All skills a person claims will be tested eventually, whether in the interview or on the first day at the job. It is better to be truthful about the skills you have. If you do not know something, stress that you are willing to learn. In terms of listing employment history, it is best to use specific dates. Saying “winter 2012” is not as advisable as saying “January 9th, 2012.” Missing dates or vague dates can appear suspicious on a resume. If there are gaps in your employment history, be honest about them and be ready to explain them. 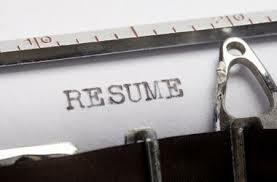 Lastly, employment seekers need to remember that resumes offer a short glimpse at skills and experience. They are not lengthy novels for an employer to read. In fact, most employers just scan resumes, looking for key information. So, on a resume, leave off expired certifications or irrelevant jobs. There are many skills a person might have, but only some fit the job they are applying for. Theatre experience may be relevant for one position, but certainly not for another. Tailor your resume to fit the job you’re seeking. This article sponsored by free online resume builder .